The silly season of player movement has just about come to a close, with the only action left taking place through delisted free agency. Despite this gradually calming down, half of the coaches in the league are under pressure to keep their job. Some on this list are under pressure more than others. This pressure is not necessarily a result of bad coaching by any means, but in this industry ladder places and that top eight finish are the most important things. When a coach cannot fulfil this, it will lead to a lot of pressure. 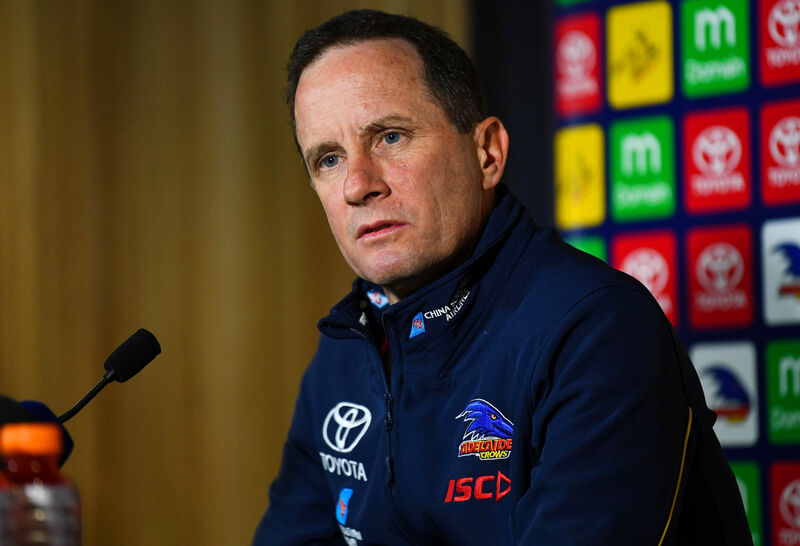 Since joining the club in 2016, the Adelaide Crows coach has led the club to fifth, first and runners up in the 2017 grand final. Dropping to twelfth this 2018 season which fans would say was very disappointing. After their 2016 and 2017 seasons, fans expected big things to happen in 2018. They did not happen. Adelaide did have many problems in 2018. From the injuries to star players such as Rory Sloane, and the controversial collective minds program in the past pre-season, it was a year of failure after one of their most successful seasons in recent times in 2017. Don Pyke and the entire footy club will be under a lot of pressure to return to those heights of 2016. If not, it may unfortunately mean his job. Aside from foundation coach Graham Cornes, no Crows coach has kept their job when they have failed to make the finals in successive seasons. Don Pyke will be looking not to join this list and lead Adelaide back to a finals finish and back to premiership contention. It is hard being the coach of a struggling side, in particular when you’re the coach of a club with a proud history such as Carlton. Bolton has been looking to rebuild this club since taking over. It looked promising in his first year, where he led the Blues to seven wins and 14th place. Since then they have gone downhill, winning only two games in 2018 and coming in as wooden spooners. Now it is hard to criticise a coach when the side is struggling, but Bolton has had this team for three seasons with no signs of improvement. Their season came to a dismal end with a 100-point thrashing by Adelaide. They showed no signs of improvement throughout the season. Bolton will be under major pressure to show that Carlton can improve and the excuse that they are a young, inexperienced side. Many of them have had experience in the league now and have to start improving. If Bolton wants his job in 2020 he will have to show that Carlton will improve. Now I have nothing but fantastic things to say about this man since he took over the coaching reigns at the Bombers. He led them during the 2016 season when they had several players suspended due to the drug saga and impressively won three games. He led them in 2017 to a finals spot which many saw as impossible considering the predicament they were in previously. However this year they failed. Now I am not saying that one season judges how good a coach is, but their start was dismal. Had Essendon been playing the way they played in the second half the year during the first half of they year, they could have made finals and made a top finish. This year, doing so is a must. Now many will say that he shouldn’t be on this list but he will be under pressure to prove that Essendon are the real deal and can do it. Oh how the glory days down at Fremantle have gone. It was only five years ago when they made their first ever grand final. It is just three years since they came second in 2015. Since then they have fallen down, coming 16th, 14th and 14th in the previous three seasons. In 2016 they lost Nat Fyfe for most of the year. However in the past two years they have had him back and playing well – no excuses. They are at a stage where they should be challenging for that eighth spot. Ross Lyon has done nothing to change this. A fourth season without finals and dismal performance could spell the end to his time at Fremantle. He is under pressure in 2019 to show improvement and the loss of Lachie Neale will not help his cause at all. Now Leon Cameron may be on this list by no fault of his own but at the fault of the club and the AFL. This is the first season where all of the Giants concessions are removed. Now this is why they have had to get rid of quality players such as Tom Scully and Dylan Shiel. Now by no means do two players make an AFL team but they have lost many of their stars over time. Devon Smith is a prime example. He was one of the best forwards/midfielders in the competition last year. GWS are a club that people have expected would win a premiership in the past three years. They have challenged but there will be pressure on Cameron, maybe not this year but in the next couple of years, to prove his worth and lead the Giants to this first premiership. However no more concessions may make this hard for the club, and is why pressure could be put on Cameron’s shoulders. 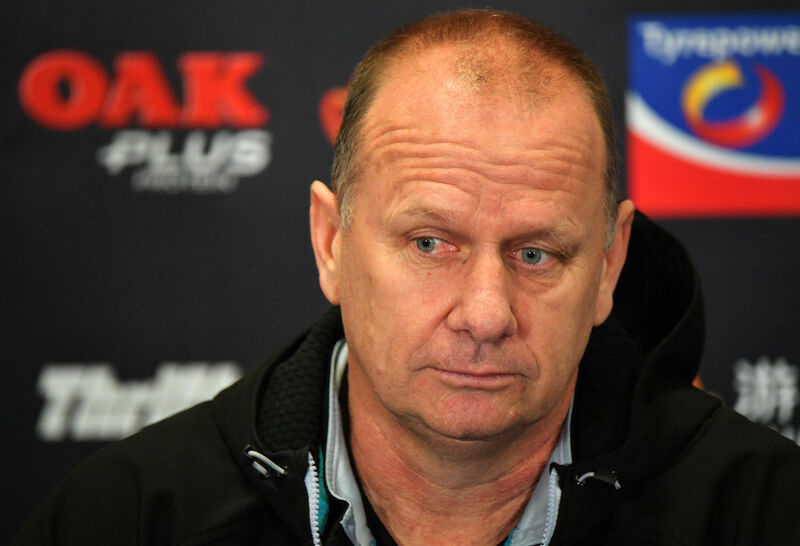 Ken Hinkley is going into his seventh season as Port Adelaide squad. For such a talented list, they have disappointed in their past four seasons. Coming ninth, tenth, fifth – but disappointing in the elimination final against West Coast – and tenth in 2018. They boast a list with Charlie Dixon, Robbie Grey and Ollie Wines. This list should be performing week after week. They were tipped to come top four and challenge for the premiership. However, this was not to happen. Unfortunately, all of this comes back to the coach. There is a pressure on Hinkley to rejuvenate the Power and turn them into a force in 2019. If not it could be another season of disappointment at Alberton which could lead to change in the coaching ranks. Hopefully for Hinkley, this will not happen. The Saints were a struggling club when Richardson took over. He turned them into a team who had more wins than losses in the 2016 and 2017 season. Things were looking promising for the Saints and like many other teams, they were looking to put pressure on regular top eight sides. However 2018 was a complete backflip on this expectation. The Saints went downhill and only had four wins in 2018. The blame went to Richardson and many were saying that his job was on the line. It still is. If Richardson still wants this job he will have to prove his worth and show that he can improve the Saints. This man has done a lot for Sydney. He has taken them to a premiership, and grand final spots in 2014 and 2016. However, in a club with such success in recent years, under performing can cost people a job. In this season and last season compared to their usual standards, the Swans were underwhelming. 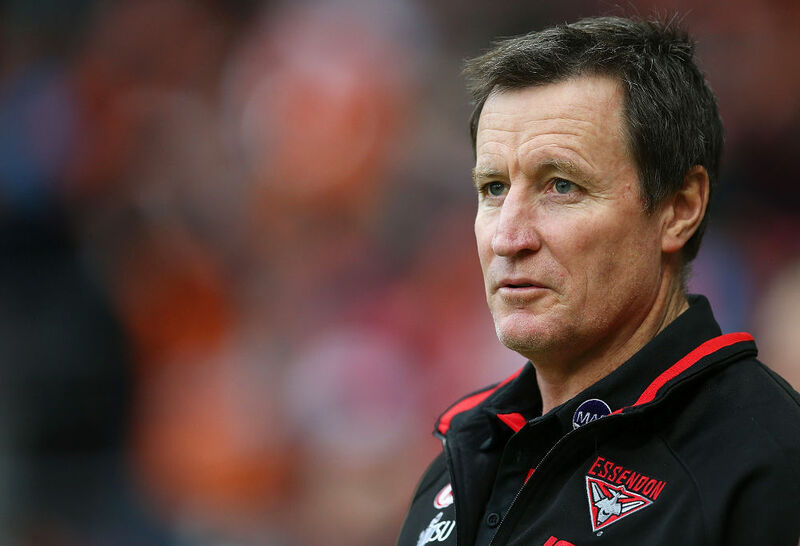 In 2017 they lost their first six games but went on a run to make finals and in 2018 it looked like that they might not even made finals, but a run of wins against the Magpies, Demons and Giants in three of the last four games changed this. 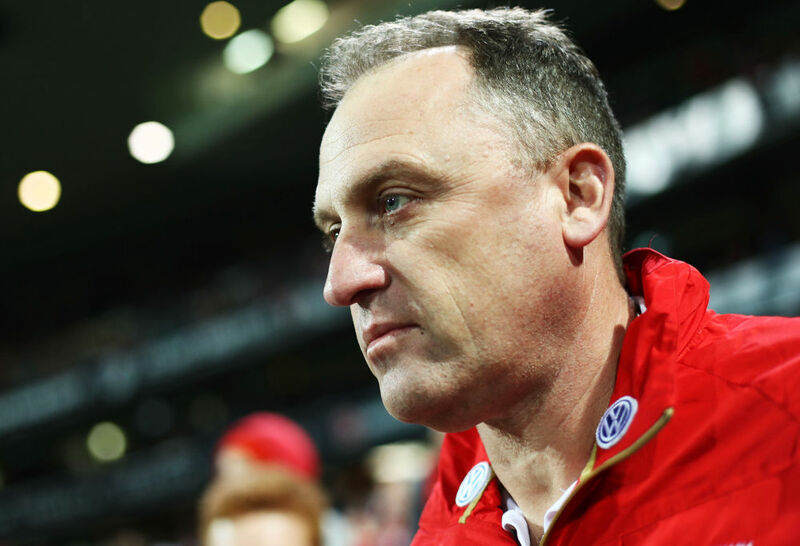 However, Longmire will be under pressure to make sure that the Swans return to their usual top four position and don’t slip out of finals. If not, his job may be on the line. Like many men on their list, Luke Beveridge has done a lot for his club, in particular giving the Dogs their second premiership ever – a memorable moment for the club and their fans. Since taking over in 2015 he has turned the Bulldogs into a competitive team. But since their premiership triumph they have fallen and have failed to make finals. With a club of promising players such as Easton Wood, Tom Boyd, and Marcus Bontempelli, the Dogs should be a team that makes finals every season. Beveridge will be under pressure to bring the Dogs back to the top eight and show why they won that premiership in 2016. Some of these coaches are under more pressure than others. Many of these coaches have brought success and have done huge things to change their clubs. But the AFL is an industry based on success and winning the premiership and playing in the finals. If this doesn’t happen coaches are always under pressure.